The fifth Atelier Cologne scent I am reviewing today is the one I took the longest to fall for. I am not a big fan of orange blossom (as of most white flowers), so Grand Neroli was not my first choice, (since I always throw together neroli and orange blossom in my mind, although they are two different extracts of the same flower of the bitter orange tree) when the first five scents by this new brand launched. Since all the others were such successes, I acquired a sample of this one too, and of course I am glad I did. 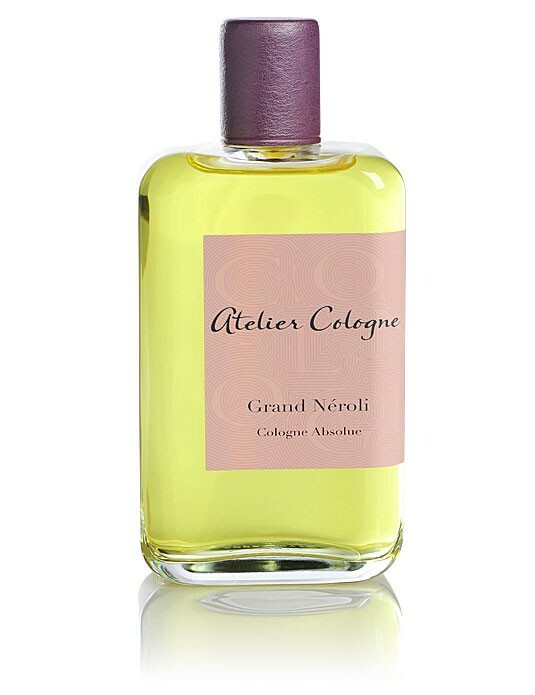 Grand Neroli is a cologne Absolue with a concentration of 12% created by Cécile Huá. Notes include Moroccan neroli, lemon, bergamot, petitgrain, galbanum, moss, birch leaves, musk, amber and vanilla. The initial phase of Grand Neroli is a wonderful fresh and bracing citrus accord that veers into warmer, floral territory after a few minutes. The orange blossom I smell combined with galbanum, is dominant and soon the scent takes an interesting twist. It turns beachy! There is a salty, warm skin note that makes Grand Neroli very interesting and unique. On some days the beachiness is on the forefront, on others I smell more of the mossy green aspects the perfume also has. It is a wonderful little shape shifter, whose every shape I love. It wears for a long time, the late drydown is a soft musky skin scent. Grand Neroli is at first refreshing, then incredibly calming and soothing, it feels laid-back and easy-going. 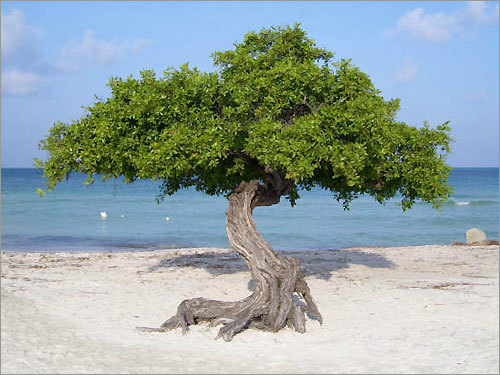 I can’t help but imagine the sappy scene of me sitting under an orange tree on a beach feeling the warm sun, salt and sand on my skin and generally enjoying life. I not only adore the Atelier Cologne perfumes, the whole idea of Cologne Absolues on the one hand and the aesthetic translation and inspiration for the scents on the other hand, are very much to my liking. 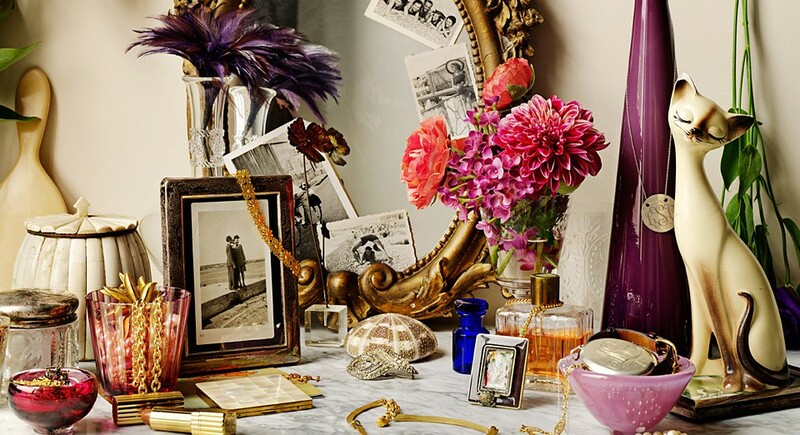 For each perfume there is a whole aesthetic concept, crystallized in a photograph and a text accompanying the perfume. I urge you to take a look at the website, if you haven’t already. There is one perfume still missing in my collection – Vanille Insensée, insane Vanilla. It is on its way to me, so I hope I can talk about it soon. I look forward to another potentially interesting fragrance. Image source: ateliercologne.com, boston.com some rights reserved, thank you! This entry was posted in Atelier Cologne, Citrus, Floral, Fragrance Reviews and tagged Atelier Cologne, citrus, floral, Fragrance, Grand Neroli, Neroli, Perfume, Review. Bookmark the permalink. Great stuff! I liked your beach scene, it really helped evoke the scent for me. I love their whole concept but they don’t have a stockist in the UK. I’m so desparate to try the range that I’ve sent them an email begging for samples. I don’t have high hopes for that though. I must have spent literally hundreds of pounds on buying samples and it really has to stop, but probably won’t! But oh. A beach. A. Beach. What a concept, on a March 1st when it seems that winter has lasted an eternity, a millenium, an aeon…and spring will never come. Love Grand Neroli for its beautiful fresh, yet rich cologne concept! Technically neroli is not a white flower, but a fruity-citrus note. It is amazing how different methods of processing produce different olfactory profiles. I must try this line! This is my third favourite from the range, and you have captured its juicy yet soothing quality exactly!